Those who denounce corruption face hardship and physical danger even when there’s a legal framework that should protect and guarantee them a fair hearing. 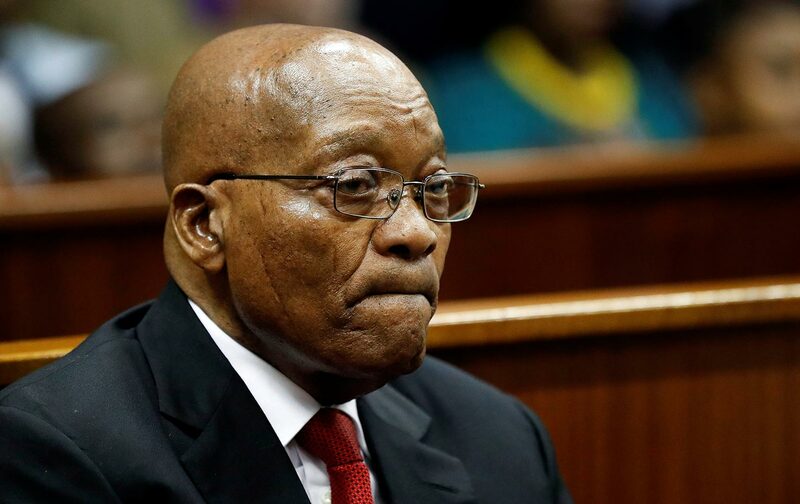 South African President Jacob Zuma resigned in February over the biggest corruption scandal since the end of apartheid, which involved both the president and his son. Zuma’s exit became inevitable last June, after the publication of thousands of confidential documents revealing that the Gupta family, owners of a major business empire in South Africa, wielded influence at the highest levels of government—even over the appointment of ministers—in return for favors. Just before Zuma stepped down, when the media were speculating how the African National Congress (ANC) would respond, I met Bianca Goodson, 32, and Mosilo Mothepu, 39, in Johannesburg. They belong to the multiracial middle class that once believed economic growth and democracy would solve their country’s problems. Both were at university in Johannesburg, their careers progressed rapidly, and by 2014 they were, respectively, the CEOs of Trillian Management Consulting and Trillian Financial Advisory, subsidiaries of Trillian Capital, a consulting group then owned by Salim Essa, a close associate of the Guptas. Goodson and Mothepu discovered separately that their firms were part of a network of influence peddling, with members of the Gupta family, politicians, and directors of major state-owned enterprises involved in illegal acquisition of businesses, contracts awarded without tenders, illicit transfers of funds, and nepotism in key appointments. Goodson said: “I alerted the directors, several times. But when they failed to respond, or even told me to look the other way, I felt I had to take action.” In 2016 both women decided to resign and go public on part of what they had uncovered. As they labored to collect evidence, hire lawyers, and pay legal bills, they faced accusations of libel, threats, pressure from their superiors in the group, and criticism from friends and family. They also had to manage relations with the media and deal with unwelcome publicity, with no guarantee that the courts would ever validate their allegations. Later in 2016, Public Protector Thuli Madonsela received documents relating to the cases, and, despite pressure from the highest levels of government, published a harshly critical document that came to be known as the “state capture” report. 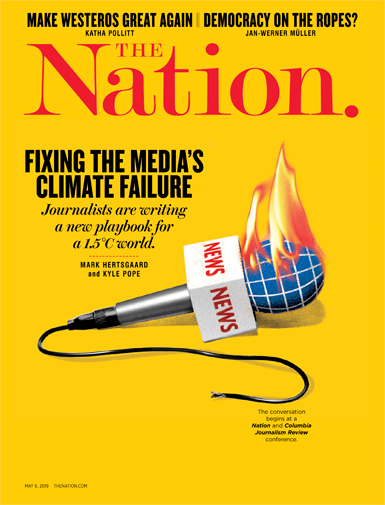 The media were quick to adopt this name to describe the distortion of public-service missions and misappropriation of public funds for private profit. National and foreign media hailed the women’s courage and public spirit, but they paid a heavy price. They sounded weary: “My whole professional and personal life was destroyed,” said Mothepu. “I have to go on, and it’s not easy. All I did was tell the truth, but now I can’t hope for a job with any real responsibility in a big company.” Goodson said: “The hardest thing is to see everything I believed in go up in smoke—fairness and honesty, or at least integrity and transparency in business.” In October 2017, as the “Gupta leaks” began to appear in the media, Mothepu agreed to testify before parliament. It was the beginning of the end for Zuma. Admirable though their whistle-blowing was, it would have got nowhere without the support of the Platform for the Protection of Whistleblowers in Africa (PPLAAF), founded in 2017 in Dakar, Senegal, by a group of lawyers, activists, journalists, and judges. Its steering committee includes activists from seven African countries, among them former Tunisian government minister Kamel Jendoubi. It provides support to whistle-blowers: Encrypted communications, free legal services, guidance on how to release information to the public and proposals on legal reforms to protect them. The PPLAAF’s backers include the Foundation for Equal Opportunity in Africa (set up in 2015 by Mauritanian entrepreneur Mohamed Ould Bouamatou) and the Open Society Initiative for West Africa (OSIWA), founded in 2000 by George Soros. In 2017, with the help of another South African whistle-blower (who prefers to remain anonymous), the PPLAAF started building a database of nearly 200,000 emails and documents produced by the Gupta clan. In June 2017 the PPLAAF shared this with Le Monde, and in South Africa the investigation was taken up by the amaBhungane center for investigative journalism and the online Daily Maverick, helping to validate and protect Goodson and Mothepu’s work at a critical time. One such obstacle is a lack of legislation to protect whistle-blowers. Even in South Africa, where the rule of law has produced more robust institutions than elsewhere on the continent, the struggle is hard. In Nigeria, Bourdon and the PPLAAF have since 2017 supported efforts within the National Assembly to establish a legal framework for fighting corruption. Politicians, journalists, lawyers, and NGOs such as the Human and Environmental Development Agenda Resource Centre are collaborating on draft legislation. The project has the support of Kayode Oladele, chairman of the Nigerian House of Representatives committee on financial crimes. In Niger, where there is no legal framework, Falamata Aouami paid a high price for blowing the whistle on her former employer, the Agricultural Bank of Niger (Bagri). In 2013, at 28 and fresh from a prestigious business school in Dakar, she was appointed its comptroller general. The Bagri, established by the government in 2010 to support the rural economy, had just been placed under provisional administration after its capital had dwindled from $18.2 million to $6.2 million in three years. Aouami was put in charge of an internal audit, which revealed unrecovered debts, doubtful loans, and cash discrepancies. Bagri staff were hostile to the audit and unwilling to provide information, and Aouami received threatening letters. She initially had the support of the chief administrative officer. He was replaced, yet she stood firm, submitting reports that deplored the weakness of internal control procedures and failure to follow the recommendations of the banking commission and auditors. Her superiors asked her to stop investigating, but she believed the audit was “the only way to save the Bagri from bankruptcy,” and insisted she was only following the West African Economic and Monetary Union (UEMOA) guidelines on internal audits. After more threats, insults, and bullying, leading to time off work for illness, she was fired in May 2015. The bank accused her of publishing false information that threatened its survival. Aouami decided to take the Bagri to court, but without a reliable lawyer—“no one was brave enough”—she had to fight her case alone and endured manipulation of the legal system, including repeated postponements, documents vanishing from the case file, altered decisions, and a judge taken off the case. “I don’t regret doing it, but blowing the whistle under those conditions is tough. No one should lose their job for doing the right thing. None of the external control organizations did anything to help me, not the banking commission, nor the UEMOA, not even the labor inspectors I asked for help. It’s three years since I was fired, and I’m still waiting for a response from HALCIA [the High Authority for the Fight Combat Corruption and Related Offences].” She now works in a small sandwich shop in Niger’s capital, Niamey. Algeria has institutions and laws that officially protect whistle-blowers. A 2006 law called for the establishment of a National Corruption Prevention and Control Organization. Article 45 banned the intimidation of whistle-blowers, and the reformed penal code (2015) explicitly guaranteed their protection. In 2011 a Central Office for the Repression of Corruption was established by presidential decree. Trusting in this legal framework, Noureddine Tounsi, 50, former sales manager for the Oran Port Authority (EPO), a public entity for which he had worked for 24 years, felt safe in alerting (anonymously at first) the gendarmerie and the public prosecutor to embezzlement. Tounsi had observed questionable practices relating to the order in which ships were processed. Vessels belonging to the Algerian Inter-professional Office of Cereals, another public entity, would reach the harbor first, but would be made to wait while private importers’ ships were unloaded; meanwhile they incurred a penalty charge of up to $20,000–30,000 a day. Tounsi also uncovered corruption within services managed by the EPO’s trade unions: The travel agencies selected to market a pilgrimage to Mecca to 2,500 current and former employees were chosen without a tender, contrary to legislation on public procurement. Tounsi published his revelations anonymously at first. They led to a few newspaper articles, but nothing changed: No inquiries were opened, and no EPO officials were questioned. In 2016 Tounsi discovered another instance of corruption, which he felt was the last straw: falsification of invoices and unjustified requests for reimbursement in relation to the EPO’s paid services. The Road, Hydraulic, and Building Works Company, owned by Algerian businessman Ali Haddad, who is also chairman of the Business Leaders’ Forum, was among the companies that benefitted. This time, Tounsi decided to file a complaint with the Oran gendarmerie brigade in person, and appeal to the courts. “I realized my anonymous complaints allowed the people I was denouncing to cover up the truth. That’s why I decided to come into the open.” Reprisals began as soon as the inquiry was opened. Tounsi was threatened, suspended, demoted, and finally sacked from the EPO in September 2016, though his lawyer had filed a request for protection with the prosecutor in July. Soon after losing his job, Tounsi appeared in a YouTube video. In April 2017 he was given a two-month suspended prison sentence and fined $1,700 for insults and threats. He continued his allegations in the media, including the newspaper Al-Akhbar and investigative journalism website Algérie Part. Early this year, he founded a National Council of Whistleblowers, with the support of the Algerian League for the Defense of Human Rights. On May 22, he was acquitted on charges of defamation and disclosure of trade secrets, but the courts have yet to address his allegations. The Democratic Republic of the Congo (DRC) has no legislation to protect whistle-blowers, and few would dare to challenge President Joseph Kabila over his nepotism. Yet in October 2016, Belgian daily Le Soir caused a furor in Kinshasa with revelations of corruption that directly challenged the Kabila clan. Other articles followed, presenting what the DRC media eventually called the “Lumumba papers,” after whistle-blower Jean-Jacques Lumumba. Lumumba, 32, now lives in exile in Europe. As the great-nephew of Patrice Lumumba, the father of Congolese independence assassinated in 1961, he is well aware that his name has great symbolic weight, but he is not involved in politics. He was manager at the International Gabonese and French Bank (BGFIBank), one of the biggest financial institutions in Kinshasa, when he decided to blow the whistle. A few weeks later, Lumumba heard from friends that he was at risk of arrest and imprisonment, and fled with his wife and three children. But exile is not enough to guarantee his safety, since he took with him a large number of compromising e-mails and records of bank transfers. “I soon realized that with what I knew, our lives were in danger even in Europe. So I informed the local police [who set up patrols] and contacted the European press.” In 2017 investigations by the PPLAAF and media, based on information he had provided, revealed the practices of the Kabila clan, whose fortune is thought to run into hundreds of millions of dollars. Kabila, his wife, their two children, and eight of his brothers and sisters own some 70 business enterprises, and hold more than 120 permits to mine diamonds, gold, copper, and cobalt in the DRC. Kabila allegedly uses his business connections and public funds to import wild animals from Namibia, by sea, to stock the huge reserves around his private residences in Kingakati. Two close associates have spent at least $25 million renovating a 72-meter luxury yacht, which is still at Cape Town waiting to be collected. “These revelations would never have come out if I hadn’t gone into exile and found support here,” said Lumumba. “In the DRC, as in most African countries, just asking people to respect the rules means prison, death, or exile. The media, the legal system, and all state institutions are controlled by the regime and won’t tolerate people standing up for the truth.” Since late 2016 Lumumba has had support from the PPLAAF, which has ensured that he has legal protection, analyzed the documents, and facilitated their publication. The PPLAAF is now working on a new Congolese case file with several people who have contacted it. Zoubir (not his real name), 45, recently fled to the UK from Djibouti, where he had a management position with a big company in the private sector. By chance, he had access to confidential documents linked to the planned construction of a deep-water port at Banana, in Kongo Central (formerly Bas-Congo) province, the DRC’s only access to the Atlantic. The port will have an annual capacity of 332,000 containers and more than 1.4 million tons of goods, and will create nearly 2,000 jobs, as well as indirect employment. The project is valued at $1 billion and, according to PPLAAF sources published in March, the DRC and DP (Dubai Port) World, the third-largest port operator globally, will establish a joint venture to run the new facility. Despite the importance of the port to the DRC economy, no public entity will be represented in this joint venture. According to the whistle-blowers, it will be 60 percent owned by DP World and 40 percent by a Congolese private company the PPLAAF refers to as “Privé DRC.” The stakes are high: According to DP World’s estimates, Privé DRC is likely to earn around $45.3 million from the construction and running of the port over seven years. The whistle-blowers believe Privé DRC is, in fact, Kabila or members of his inner circle. Zoubir takes full responsibility for his decision, but he lives in fear. In 2015 journalist Steve Abongi, 30, was murdered in the DRC while investigating General Gabriel Amisi Kumba, alias Tango Four, a close associate of Kabila. Olivier PiotOlivier Piot is a journalist.